Having lived in Thailand on and off for a number of years, I’ve been able to attend many festivals. Here are the four main festivals that stick in my mind as the most highly anticipated events of the year! There are estimates that more than half the population of residents in Bangkok alone have Chinese blood – so you can be assured Chinese New Years in Thailand is huge. For Thai-Chinese, the lunar new year is about spending time with family members and remembering ancestors. It's also a time for a new beginning with the hopes of prosperity and good luck for the future. Not washing or cutting hair and refraining from cleaning the house are a few of the notable traditions. Choose to partake in these activities during Chinese New Year and you run the risk of washing away your wealth for the year. 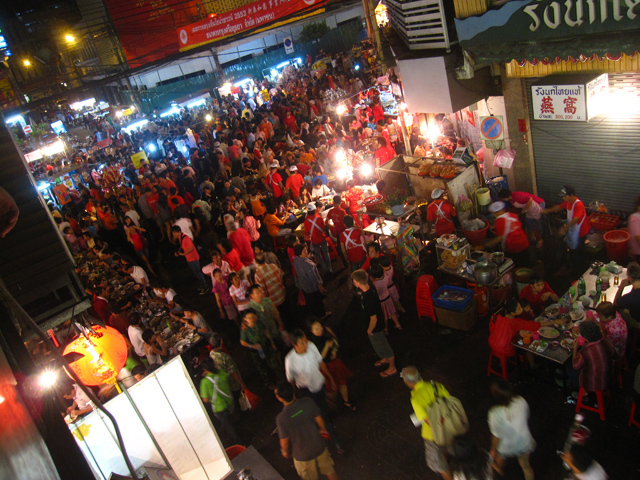 While Chinese New Year is celebrated all over Thailand, the bulk of events in Bangkok are held in the heart of Yaowarat (Chinatown) where thousands gather to eat, browse and watch the parade. Of all the Thailand holidays, nothing is more anticipated or as exciting as the annual Songkran festival that ushers in the Thai New Year. On the serious side of things, for local Thais, the Songkran festival is about spending time with family and close friends as well as visiting a Buddhist temple to offer food and receive blessings from monks. For the remaining portion of the days (and nights) during Songkran, Thailand turns into a water splashing war zone where no one is spared. 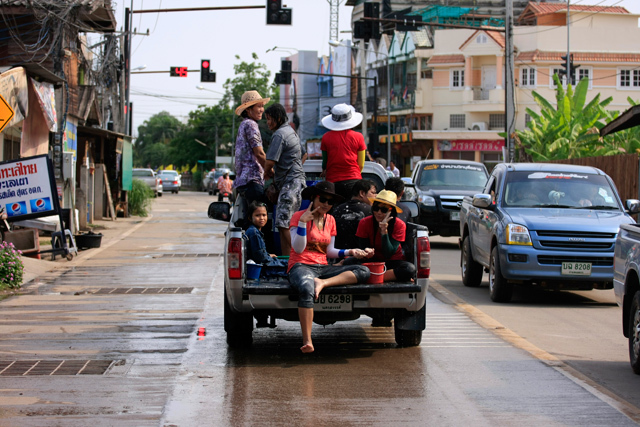 Many people choose to pile into the back of pickup trucks or on motorcycles to cruise around the streets drinking alcohol and dousing everyone with water. Songkran is the ultimate chance for everyone to let loose and have a blast. If you’re able to visit Thailand for just a single festival, Songkran is a great choice! Around 150 years ago there was a group of Chinese opera performers that traveled to Thailand. On their journey they became very sick and after consulting with one another they decided they had not been faithful to the nine emperor gods of the Chinese Taoist belief. In order to make things right, the group decided to eat a strict vegetarian diet for the first nine days of the ninth lunar month. The “Jay Festival” as it’s known, still takes place annually. For foodies (not only vegetarians) and cultural travelers, the Thai vegetarian festival and its ceremonies are a highlight of Thailand travel. 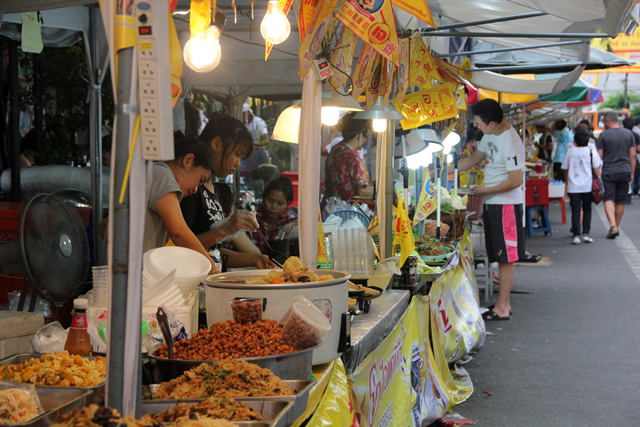 While the vegetarian festival is most famous in southern Thailand (in Phuket specifically) there’s also widespread events and vegetarian food throughout Bangkok. The night of the full moon in the 12th lunar month is when the beautiful Loi Krathong festival is celebrated. A krathong is a traditional floating device made from a slice off the trunk of a banana tree that is decorated with banana leaves, flowers, candles and sticks of incense. Every year thousands of Thais get their own krathong, light the candle on fire and float it in a designated river or lake. While thousands of flickering candles in a river is truly a wondrous site, the actual act of floating a krathong is symbolistic of getting rid of all personal anger, frustration and grudges. It's also an act to honor the goddess of water. Thailand is an amazing country, but if you manage to arrange your travels so you are in the country during one of these anticipated festivals your trip will be even more remarkable.